Robert Downey Jr. will not reprise his role as Iron Man in the upcoming sequel to Spider-Man: Homecoming. 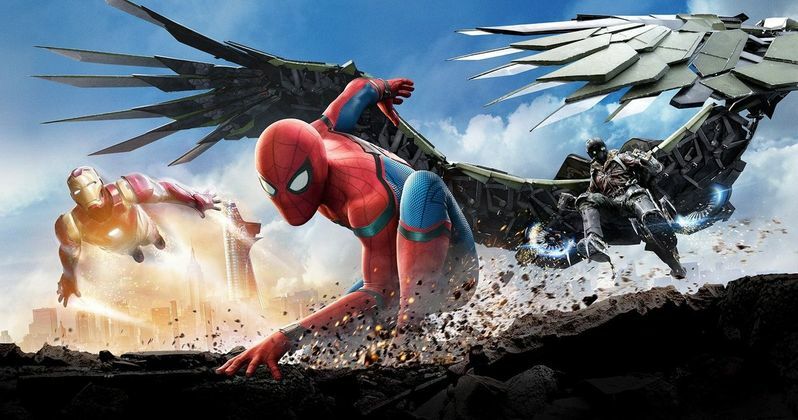 It was reported back in December of 2016 that Sony had set a Summer 2019 release date for Spider-Man: Homecoming 2 (which in all likelihood will not be the title), and Peter Parker (Tom Holland) himself recently let it slip that there will actually be 3 movies in total, making it a Spider-Man trilogy. Apparently Peter Parker has a lot of growing up to do and it can't be covered in just two movies. When the trilogy was leaked it immediately led to questions of whether Robert Downey Jr. would be returning as well. Sources have told The Hollywood Reporter that Iron Man will not be in the next Spider-Man movie and that Sony will throw another Marvel character into the mix. Who that character will be is anyone's guess, but the answer may become more clear as Avengers: Infinity War gets closer to being finished. The studio could be looking for someone who doesn't command the fee that Robert Downey Jr. does. It has been reported that the Iron Man actor received $5 million per day for three days on the set of Spider-Man: Homecoming, which is $15 million for those looking for a calculator and quite a hefty fee. Another actor that will more than likely not show up for Spider-Man: Homecoming 2 is Michael Keaton. It has been reported that the actor who portrays the Vulture only signed a one-movie deal. But this could change over time unless the Vulture is killed off during Homecoming, which we'll all have to just wait and see about that factor. Michael Keaton has stated previously that the Vulture never got a fair shot in life, that maybe the Vulture is seeing himself as a kind of victim of some sort. It's pretty obvious why the studios wanted to have Robert Downey Jr. in the fresh reboot of Spider-Man: to get some fans into the theaters. While we'll never know the true impact of Iron Man's presence in the upcoming movie, we do know that the movie is tracking to make it upwards of $100 million at the box office. One thing that is certainly clear is that Tony Stark's presence will in no way, shape, form or hurt the first installment of the trilogy. But at the same time, $15 million is quite a gamble to throw in to what is more than likely a small part of the movie. Let's just hope they don't swing into the DC/Joker debacle of Suicide Squad, where the Joker was used to sell the movie and then not used in a meaningful way. We're getting close to the release of Spider-Man: Homecoming and the early viewers are heaping praise on to the movie. Early viewing fans have said that it's on par with 2004's Spider-Man 2 while other viewers have given the common Marvel complaint that the villain is just ok. We'll have to wait until July 7th for us to see with our own eyes, but excitement just got a little bit more of a boost, that's for sure.